Mr Michael Koh, 47, with his wife Ms Achillea Teng, 45, who was his junior at LaSalle College of the Arts. The couple got married in 1999 and Ms Teng left her job at a well-known local jeweller to work with her husband a year later. After many trials and tribulations, Mr Koh is today the founder of Caratell, a high-end jewellery store which counts neighbouring royalty as its clients and which has an annual turnover of more than $5 million. Mr Michael Koh in a 1989 photo with the late Brother Joseph McNally, who admitted him into LaSalle despite his not having the prerequisite qualifications. Mr Koh looked at him and replied in Hokkien: "Ang Kong Siao." The former convict was shocked that someone should know his nickname: Crazy Tattoos. Mr Koh then explained: "I used to be your underling." Indeed he was, more than 30 years ago. Because he was dyslexic - no one knew he had the condition - he did badly and dropped out of school after completing Primary 7. Lost and confused, he joined a secret society active in his old neighbourhood in Airport Road, one controlled then by a menacing and notorious Ang Kong Siao. Mr Koh, 47, says: "But the Ang Kong Siao I met that day at the hawker centre was very different. He even spoke some English. He had obviously reformed." Mr Koh himself made it good too. After many trials and tribulations, the amiable man - who still has problems reading and writing - is today the founder of Caratell, a high-end jewellery store which counts neighbouring royalty as its clients and which has an annual turnover of more than $5 million. Defying the odds has not been easy. The youngest of five children of a jewellery store manager and a housewife, he was an active and artistic child but did poorly at Haig Boys' Primary. "The grades in my report cards were all red, except for Art and Science. I failed my PSLE, and even my Primary 7," says Mr Koh. Although he didn't find out about his condition until decades later, he is dyslexic. He has problems seeing letters of the alphabet and that affects his ability to read and write. "Even now, I see letters of the alphabet not as letters but as shapes and forms." He tried studying electrical works and welding at the Vocational Institute in Mountbatten but left after barely a year. "I had no interest in the subjects, I went for the sake of going to school," he says. His old neighbourhood in Old Airport Road had its fair share of triad members, some of whom recruited him into their fold. For two years, he hung out with them: collecting debts and generally looking for trouble. On more than a few occasions, Mr Koh - who got his black belt in taekwondo at 14 - took part in gang fights. The law caught up with him one day. "I was hauled up by the CID. My parents were so upset they cried. I didn't understand what the big deal was but I listened to my father who told me to stay away from gangs," he says. Not long after, his eldest brother died in a car crash in New Zealand, just 10 days after getting married. The heart-wrenching sight of his weeping parents sobered him. "It shook me, and I realised that life was not just about having fun. I didn't want to see my parents going through such trauma again. I decided I needed to have some direction in life." Since he took art lessons as a kid and was a good painter, he decided to go to art school. But it proved harder than he thought. Because he did not have O levels, every place he approached - including Nanyang Academy of Fine Arts and the now defunct Baharuddin Vocational Institute - turned him away. His father's friend told him about LaSalle College of the Arts. He went, armed with a small portfolio of his works. There, he bumped into its founder, the late Brother Joseph McNally. The meeting changed his life. "I didn't even know who he was. He took a look at my works, told me there were areas which needed improvement, and to try again in three months." Mr Koh then sought out artist Lim Poh Teck to help him with his technique, and returned to LaSalle with a new portfolio. Brother McNally was impressed enough to offer him a place in the fine arts diploma programme. Then only 15, he was the college's youngest student. "He said: 'I can't promise you will have a diploma because you need to have O levels for this course.' But it didn't matter to me; I just wanted to learn." He proved to be a natural and started winning prizes after a few months. In his second year, he decided to major in jewellery design. "It was love at first sight. It was like sculpture," he says. While his talent was obvious and he won multiple awards including Young Designer Award at jewellery design competitions, he still struggled with the course, especially in subjects like art history, which required a lot of reading and writing. But sheer determination helped Mr Koh - who was nicknamed Flower King for his exquisite floral designs - to pull through. On Graduation Day in 1989, he walked up the stage expecting to receive just a certificate. "But I was given not just a diploma, but a diploma with merit," says Mr Koh, who stayed on in LaSalle for a year as assistant lecturer in jewellery design after graduating. Upon completing his national service, Mr Koh was accepted into a fine arts degree programme offered by the Royal Melbourne Institute of Technology at LaSalle. He graduated with distinction in 1994, an achievement beyond his wildest dreams. Although he would have had no problems finding a job, he decided to strike out on his own after getting his degree. Plonking $6,000 - $3,000 from his savings and another $3,000 from a partner - into the venture, he rented a terraced house in Teluk Kurau to set up a workshop. All the tools he bought were second-hand. "There was no money to install an alarm system so I adopted a stray dog to guard the premises," he says. He would knock on the doors of jewellery shops in Orchard Road and other areas, offering design and crafting services, only to be turned away. To get by, he offered jewellery design classes at his studio and took on small commissions. "For two years, I survived on Khong Guan Marie biscuits. One big tin lasted me a week. My poor dog suffered with me too," he says. A big break came when he landed a major Disney contract to design a Mickey Mouse pendant. It enabled him to hire three people as his staff and move into bigger premises in Kallang. Another contract from Poh Heng Jewellery came not long after. In 1999, he married Ms Achillea Teng, his junior at LaSalle. Ms Teng, 45, recalls: "My mother asked me if I was sure I wanted to marry him. She asked me: 'Do you want bread or do you want love?'" "I'd never marry someone I didn't love. We were still young; we had time to work at our future," adds the soft-spoken woman, who left her job at a well-known local jeweller to work with her husband in 2000. For six months, she worked without a salary. "When I was wheeled into the delivery room at Thomson Hospital to deliver my first baby, my first question was: 'How are we going to pay for this? '," says Ms Teng, who even had to sell her insurance policy to help make ends meet. It took a couple of years before life settled on an even keel for the couple, who have three children, aged between 12 and 17. The second is dyslexic. Word of Mr Koh's craftsmanship spread and he started getting more commissions from jewellers and other companies. In 2003, he decided to bite the bullet and set up Caratell with a partner in United Square. The timing, however, was unfortunate because Sars rolled around not long after. Because United Square was near Tan Tock Seng Hospital - the epicentre for Sars treatment - customers stayed away. His business partnership also ended. Although things were bleak, he and his wife decided to soldier on. A customer with an unusual request, however, helped to turn things around. "She had a jade ring and wanted us to design a set of jewellery - necklace, earrings - with jade of a similar quality. We told her that it was mission impossible unless we got the gems from the source." And that was how they ended up travelling, first to Myanmar in 2004 and later to countries like Sri Lanka, Vietnam and Cambodia for precious stones and gems. Mr Koh recalls: "We were gatecrashing on our first trip to Myanmar in 2004. In those days, you had to be invited by the government to attend events like jade auctions. We managed to see the minister of trade, who told us: 'Luckily you have a Singapore passport. I will open the door for you'." 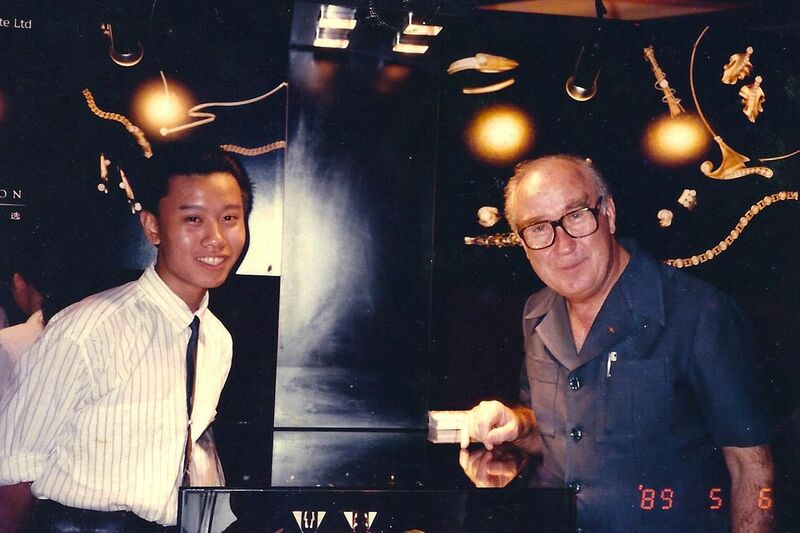 They were among the first Singaporean jewellers to procure gems where they were sourced. This not only let them get quality gems at better prices but also gave them a keen understanding of the ins and outs of the trade. 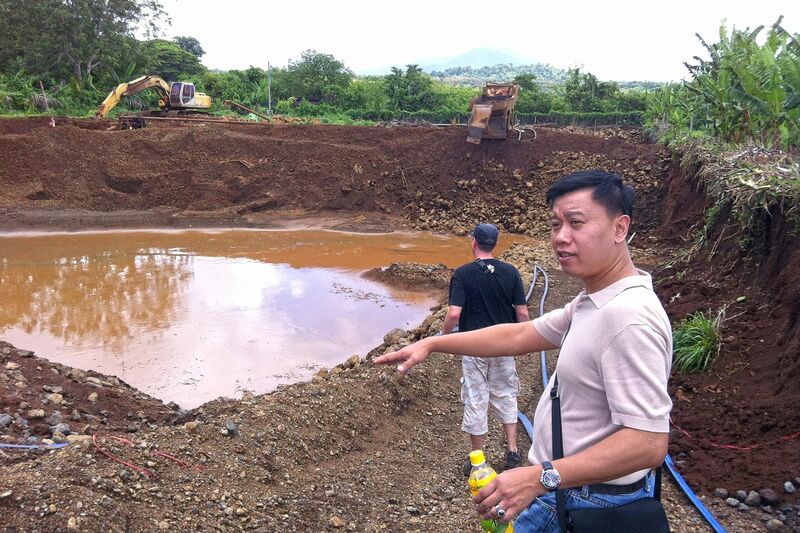 Their trips to remote mines in places like Mogoke in Myanmar and Chanthaburi in Thailand have not been without risk. They have travelled on treacherous mountain roads and navigated through land mines in countries like Cambodia. On more than one occasion, they had been followed by shady characters and had to handle con men. "You need to know your gems and your prices because if you don't, you will still get fleeced," says Mr Koh, who travels with equipment like microscopes and refraction liquids to verify the authenticity of the gemstones they buy. He has devised a method to verify the "DNA" of precious stones and is in the final stages of getting it patented. The quality of their gems and their reputation for exclusive and exquisitely crafted statement pieces have attracted many well-heeled clients, not just in Singapore but also from Europe, China and the Middle East. "We also make it a point to educate our clients by regularly holding talks on topics such as distinguishing between real and fake gems," says Mr Koh. He has no ambitions to scale up Caratell. "I want to stay small. If you're good at what you do, people will come to you." Asked if he has ever felt discouraged on his journey, he replies: "No. It was a path I chose myself. I learnt things the hard way but I'm the better for it."